When you’re setting about your work in the kitchen, you typically take inventory of your tools. 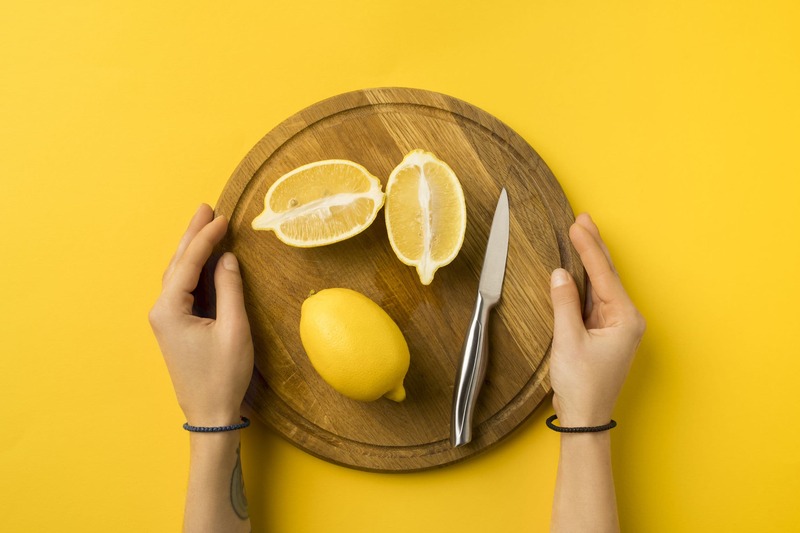 Each item has a role to play in what will eventually become your culinary masterpieces, so it’s only ideal to ensure that they’re in the best shape. 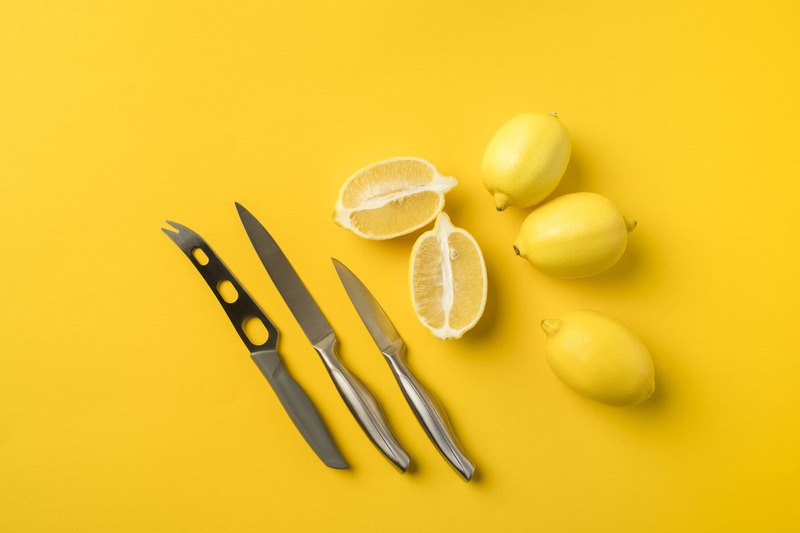 Knives are one of the most common tools used in food preparation, and every good kitchen will be sure to have sets which are ready to go to work. Having sharp knives is incredibly important when it comes to food preparing and cooking, but also for overall safety. With that in mind, knowing how to properly sharpen a knife is just as crucial as being knowledgeable on how to cut food. You can have great cutting techniques, but if you’re using a dull knife, it will affect your work. The importance of having a sharp knife has everything to do with how it interacts with what you’re cutting. Sharper knives have less slippage when cutting food, meaning that they will seamlessly slice through items. A dull blade simply can’t do this. An unsharpened or worn-down knife will have a higher chance of slipping and less accuracy, which means that you could be the one who ends up getting cut instead. From a culinary standpoint, food cooks better when it’s cut evenly which is something only a well-sharpened knife can guarantee. If you’re uncertain that your knives are sharp enough, there are simple tests you can perform. One of the most common ones is the blade to paper test. You only need to take a sheet of folded paper, newspaper, or any other type. Place your knife at the top with the blade along the fold, and slice outward. If it’s sharp enough, it will make a clean cut, but if not, it’s time to sharpen. There are different ways that you can sharpen your knife, but as a professional, it could be good to invest in some materials to give it a proper touch. A very common way to do this is to invest in using a whetstone or a diamond stone. Before you begin sharpening, you will need to lubricate the whetstone or diamond stone with honing oil. This is a good practice to have because the lubrication helps with the friction created between the knife and the stone, and it will help to catch some of the shavings which will come off the knife during sharpening. A general rule of thumb when sharpening knives is to choose an angle of 10° to 30° at which to run the knife along the stone. Using steeper angles make for more durable sharpening. However, if you’re experienced enough to know how you like your knife’s edges to be, simply adjust your angles to accommodate for the level of sharpness you need. If you’re not as experienced, it helps to use an angle guide to make sure you keep the knife consistent with the stone as it goes across the surface. This guide can be something small like a pen cap, but if you’re comfortable enough, you can simply do it without an aid. You’ll want to use the whetstone’s grit side to begin. This is the part of the stone which is course and is used to grind down the blade. An edge will have two sides, so you will need to symmetrically slide the blade along the whetstone on both sides to ensure that the blade is sharpened to a point. You will want to repeat this process, but this time on the finer side of the whetstone. The fine grit side smooths over your blade to take away burrs created by the gritter side and ultimately results in a finer edge. Ensuring that your knives are in great condition should be a routine for any place where knives are being used consistently. Remember that dull knives pose a great risk of causing injury than sharp ones. Best practice to make sure your knives are sharp and ready to create smooth cuts, and ultimately delicious meals.